Rapid-response online management system helps ensure credible and peaceful elections in one of Africa’s most stable democracies. 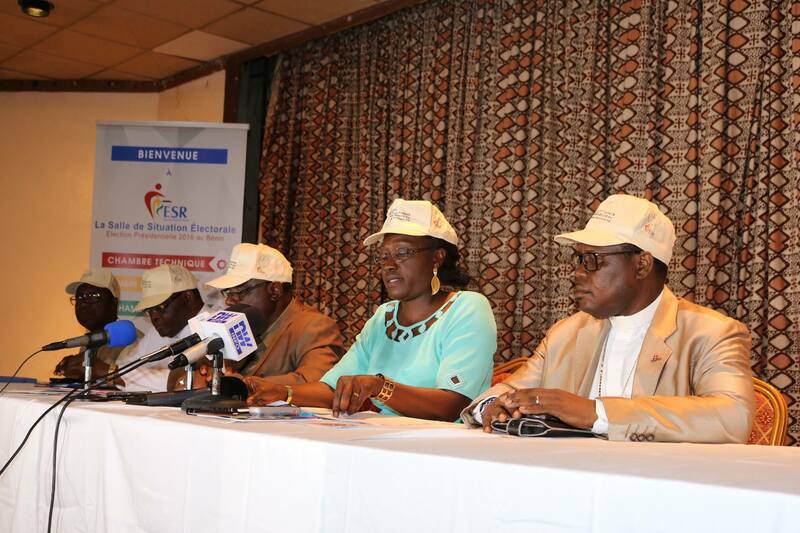 COTONOU, BENIN (March 6, 2016) —As more than 4.7 million Beninese head to the polls today to elect a new head of state, the local civil society-coalition Platform is leading an Election Situation Room (ESR) to help ensure free, fair and transparent elections. The ESR is an online electoral management tool used in several elections across Africa and abroad to provide information on the voting process. Benin’s Platform has 3,050 trained observers stationed in nearly 8,000 booths across the country providing up-to-the-minute data, via SMS, to the ESR’s Technology Room. The Technology Room is the first of three rooms that make up the ESR and comprises over 20 Beninese who are in direct contact with stationed observers, following up on any voting irregularities by phone. The second room in the ESR is the Analysis Room. This is where data is reviewed by a team of 20 analysts, including sociologists, political scientists and security officials. The information is then passed on to the Response Room where seven members, including two women, review and follow-up on any required action with security and government authorities, if and when necessary. These elections mark the sixth time Beninese vote for a presidential leader since becoming a democracy in 1991. Benin, one of Africa’s leading cotton producers, is also considered one of the continent’s most stable democracies. But for these 2016 elections, a dwindling economy, corruption, youth unemployment and lowering education standards remain top of the agenda for most of the candidates. A total of 48 presidential candidates applied with the CENA (Commission electoral nationale autonome) back in January, with only 33 retained. Among the candidates are two women, the current Prime Minister of the President Boni Yayi’s ruling party, and two of the country’s most prominent businessmen. Follow @Vote229 on Twitter and Facebook . Visit their website and the ESR platform.